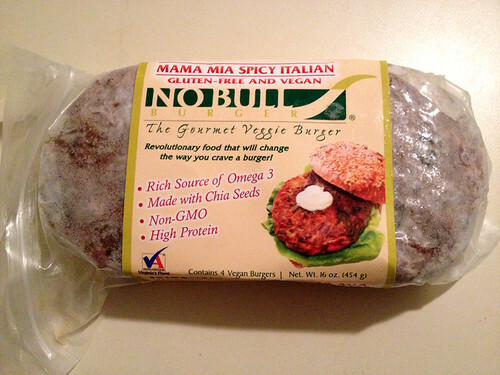 Working my way through the box of No Bull burgers that my mother sent me, next up was the Mama Mia Spicy Italian burger! I was excited to try this flavor, which is vegan and gluten-free, just like the Sundried Tomato flavor (remember, the Original is not vegan, because that one contains eggs for some reason!). I fried the patty in a pan with a bit of olive oil for a few minutes on each side. The outside crisped up nicely, turning a golden brown. 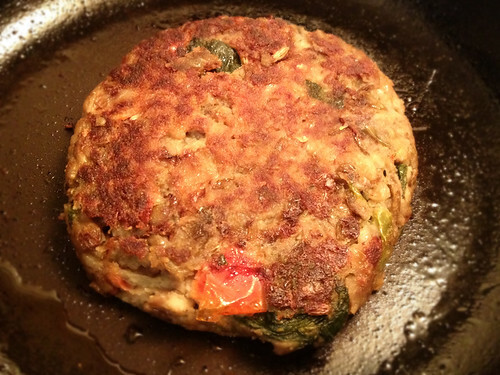 And look at the tomatoes and spinach you can see in the patty! I'm still amazed by how close to homemade these not only taste but also look! 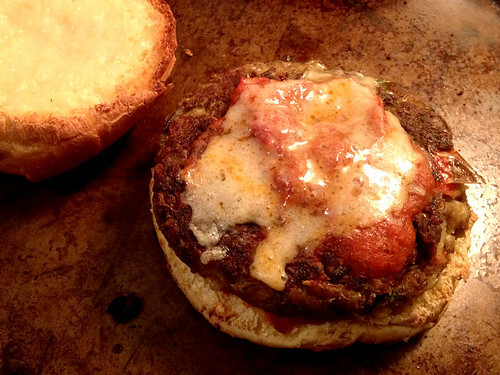 Keeping with the Italian theme, I topped my burger with some marinara sauce and melted vegan mozzarella (Trader Joe’s brand). Biting into it, I found that the word “spicy” did not exaggerate – these had a medium-hot kick to them, which I loved! Inside the patty was the same hearty, chunky blend of vegetables and beans that the other No Bull patties had delivered. It was delicious! 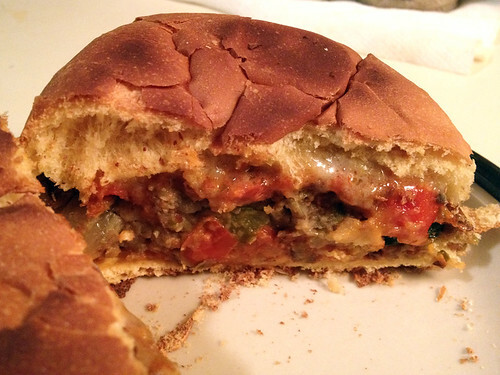 Although the Italian flavor might not be what comes to mind or what you crave when you think of “burger”, this was a great flavor variation, and one that I would happily eat again.